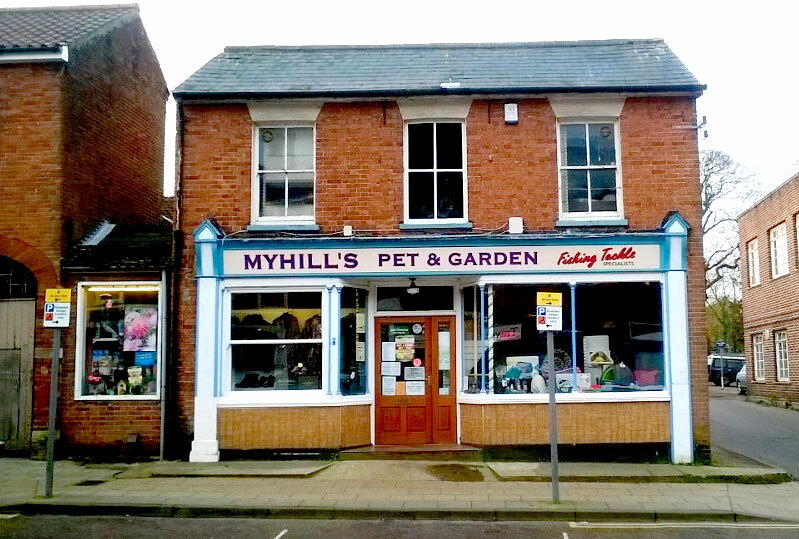 Myhills has had a shop in Dereham since 1953. Our Dereham shop stocks a huge range of pet accessories with everything from the smallest cat toy to the largest bag of dog food. Come and see our first floor display of pets and pet bedding. In addition we have a wide range of garden lines with everything for the keen gardener plus expert advice available from our staff. Our speciality at Dereham is our huge fishing tackle department which is in our new built extension where we cater for coarse, sea and game anglers with an excellent selection of tackle, clothing, rods, reels and fresh baits. You name it and we probably have it. We also have our first floor showroom for larger items such as bivvies, luggage, chairs and trollies. We combine friendly, expert advice coupled with the best prices around. Our delivery service is available every Monday for Dereham and the surrounding villages (Please order by 12.00 on previous day). £1.50 within 5 mile radius of branch. Over £30 free, outside of that area please contact your nearest branch.